On day 4 I had to work on one of our switches in a networking closest. So I grabbed the Chromebook off my desk and headed to the networking job. Once we got the wiring completed I opened the Chromebook and then opened the Andriod App Termius which is a telnet and SSH client. I added the address for the switch in a very nice interface and clicked on connect. The screen opened as you see above. I was able to work on the switch using SSH just as I would on any machine using Putty. I feel really strongly that with Google adding the Andriod Apps it opens the Chromebook up to working just as an everyday computer. There is no reason for professional technologist that you can not use a Chromebook. One of the selling features to me is that it is instant on and fast to load a program. But even more than that you can just get work done. This Chromebook I am using is the Dell 3380. It is the same one that we hand out to our students. I am not a supporter of handing out 11″ screens to the students, this one is 13″ and has a very clear screen. The keyboard is okay but the keys are a little noisy. It does have two USB 3.0 ports, a headphone jack, and HDMI out which is nice to connect to an external monitor which is how I use it on my desk. If I think in our next round I might look for one with a better keyboard? But overall this model has been holding up and the students really enjoy using it because it is fast to start and they say they can get work done faster. This entry was posted in Chromebooks and tagged Chrome OS, Chromebook. Bookmark the permalink. Need a great site to show off and sale your pictures? 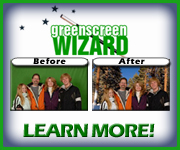 If you are a PRO or just starting out and want to print family photos then sign up today with this great developer. Use offer code (jackstechcorner) at checkout for 20% off.